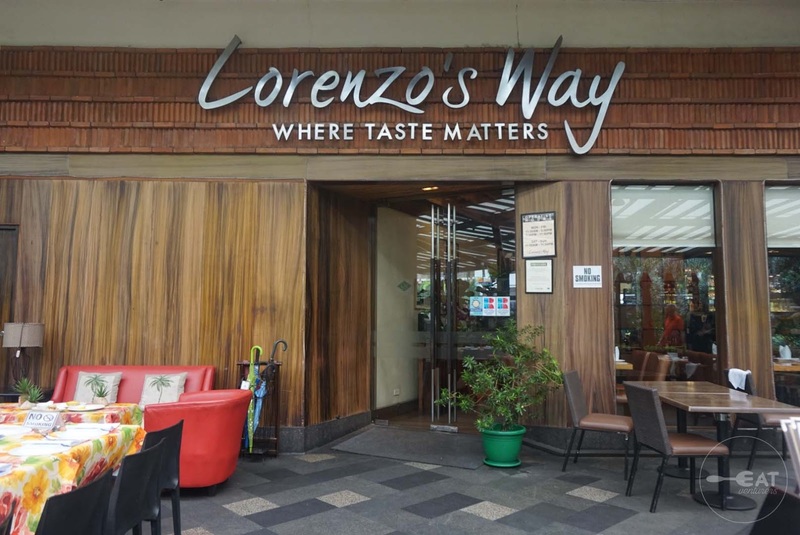 Staying true to its tagline, taste really matters in Lorenzo’s Way. It is a tribute to the late Larry J. Cruz—the genius behind some of the legendary restaurants in the archipelago such as the famed Café Adriatico and Bistro Remedios. Hence, every dish that has Filipino and Mediterranean touches is cooked with expertise, living up to the legacy of a fine restaurateur. 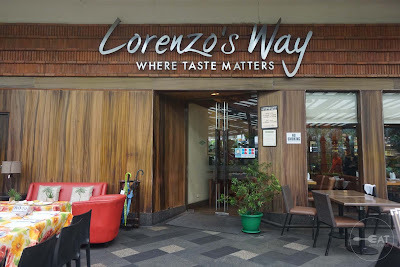 The interior of Lorenzo’s Way is a combination of rusticity and elegance. Diners will feel like they are being transported back in time with the wooden furniture, long tables, carefully-selected artworks, porcelain dinnerware and cutleries. It is perfect for social gatherings like graduation or birthday celebrations, or if you just want to impress your date. 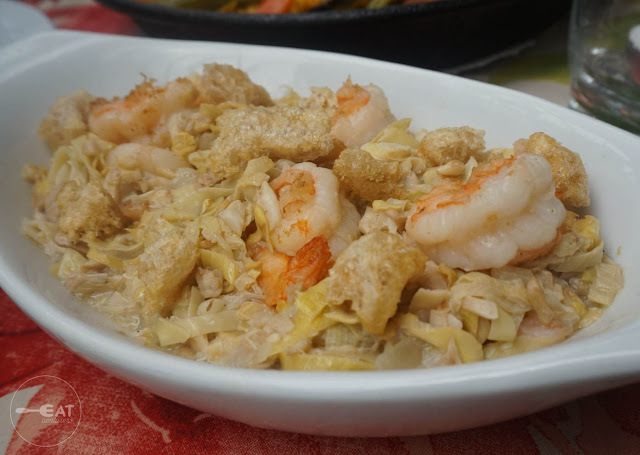 The Spanish Garlic Chicken (P395) is undoubtedly our favorite dish from Lorenzo’s Way. The boned chicken baked with lots and lots of garlic cloves and olive oil hits the taste buds right with its mouthwatering flavor. We will order this again and again. 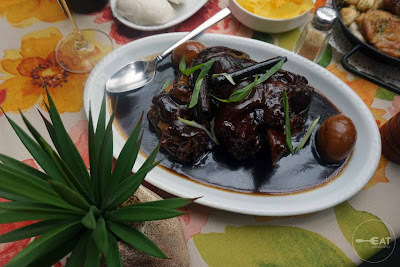 Black Pata (P850 for sharing, P430 for solo) is a delight to eat. 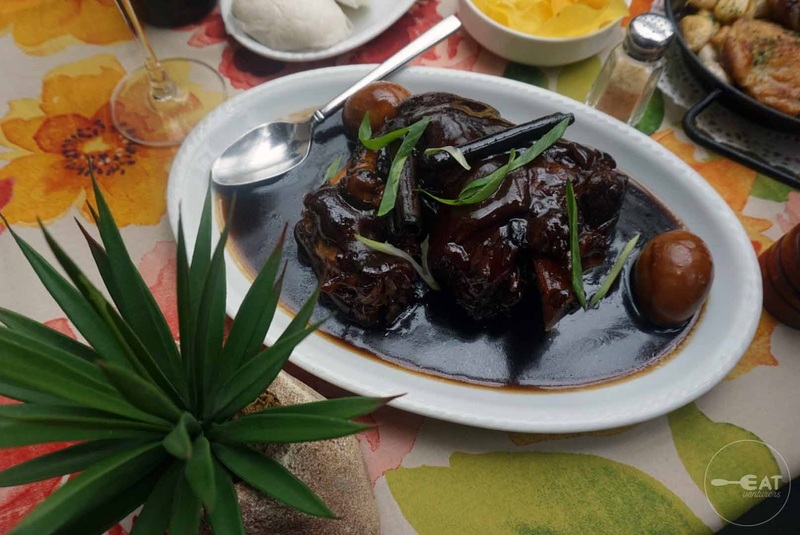 The stewed pork leg is tender and juicy, and is best paired with cuapao. 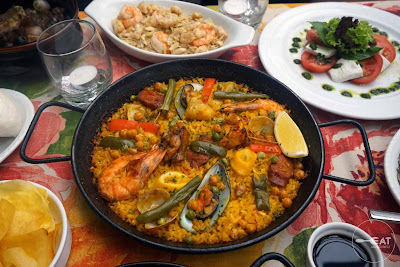 A Filipino-Spanish dining experience will not be complete without Paella Valenciana (P650). The combination of squids, shrimps, clams, chicken, chick peas and white rice is delicious. 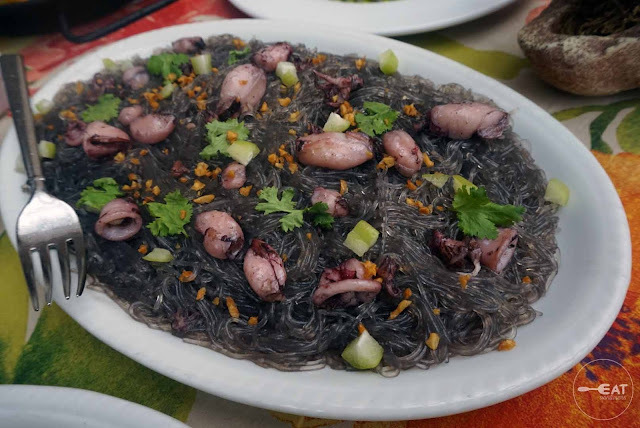 The Eatventurers also likes the Pancit Sotanghon sa Baby Pusit (P345). Caesar Salad (P295), Inihaw na Sugpo (P675) and Adobong Puso ng Saging at Gambas (P295) all taste okay but not spectacular. 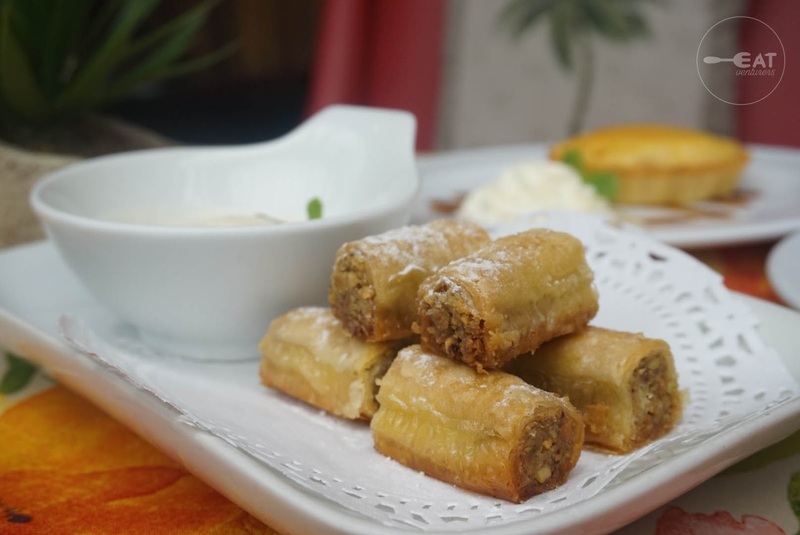 For the desserts, Baklava (P275) is a sure winner. 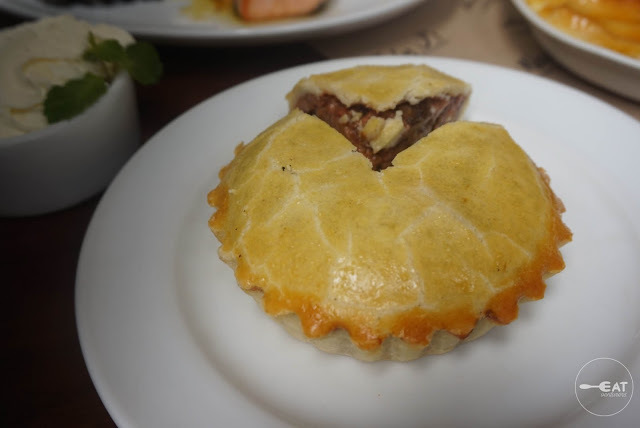 It was our first time to eat this Mediterranean-style treat filled with walnuts and pistachios and it left a delectable taste. 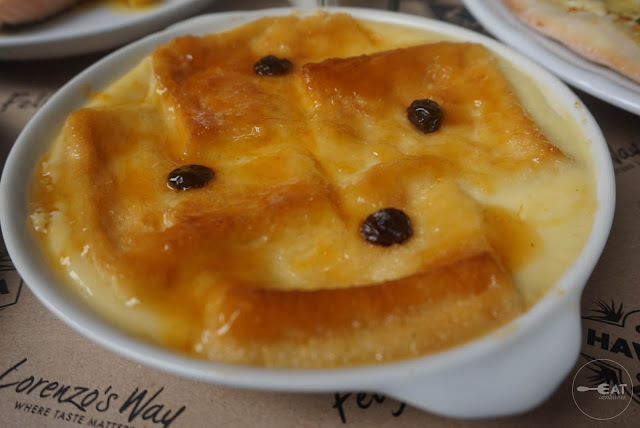 The Gigil Tart (P199), which has fresh coconut meat and salted egg, is like an elevated version of the classic bibingka. 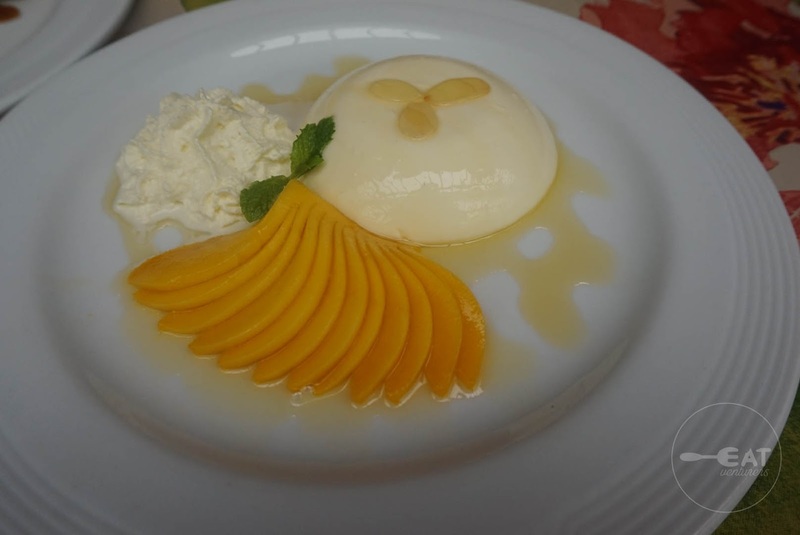 The Mango and Almond Panna Cotta (P245), however, is a miss. We were quite disappointed that the sliced mangoes were overripe and the Italian-style custard was bland. 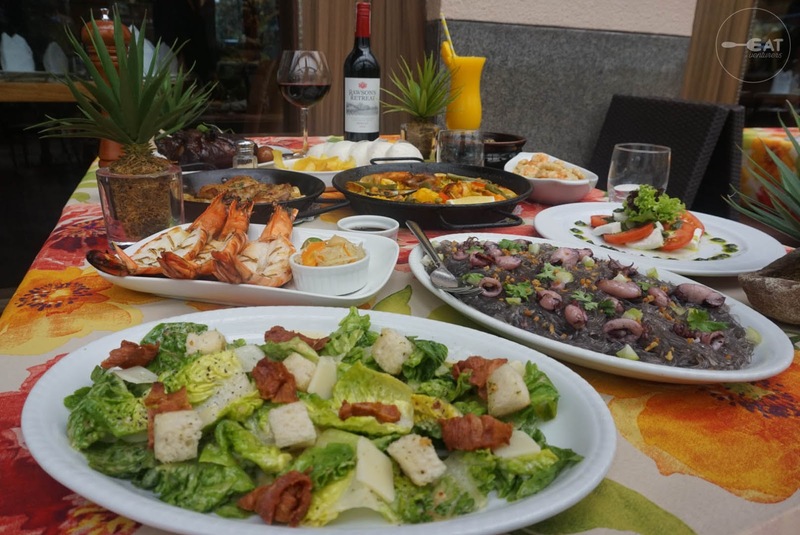 The prices of the meals are a bit steep but for a restaurant that brings to table good food and will make stomachs full, a little splurge won’t hurt. The Eatventurers are not big fans of night outs. Our idea of a perfect night revolves around watching our favorite TV series, lurking on social media or catching up our much-needed sleep. 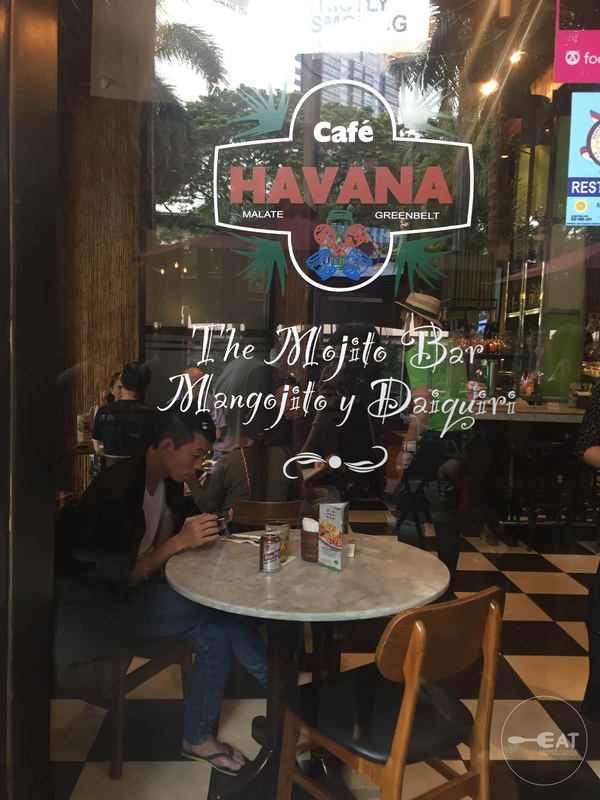 Despite this, we are aware of Café Havana’s reputation. 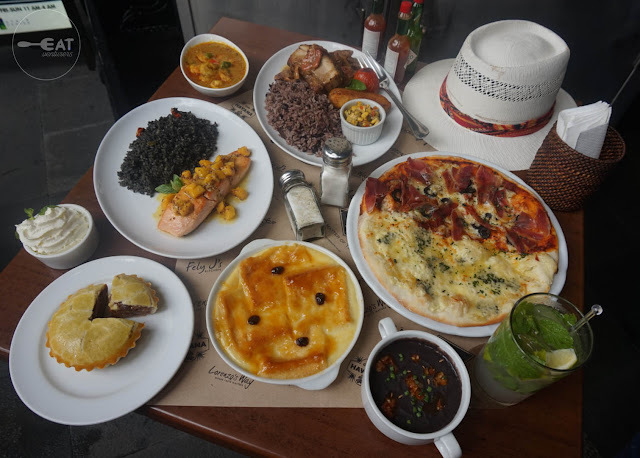 But one Saturday afternoon proved to us that Café Havana is not only about cold drinks, lively Latin music and tourists looking for company in a foreign land; it is also about food. 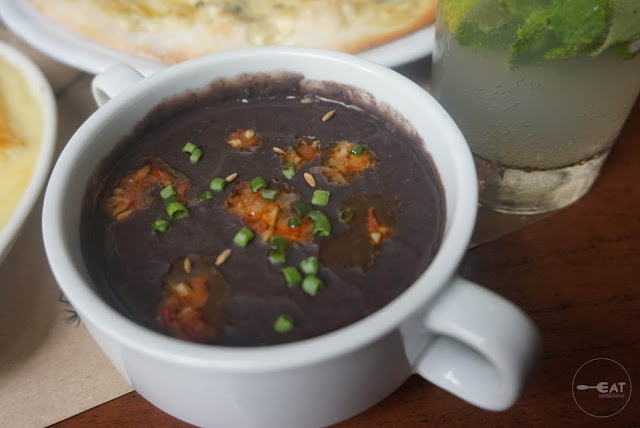 We started our gastronomic journey with Sopa de Frijoles Negros (P175) or the Cuban style black bean soup. It was nothing like any soup we have tried before. It is kind of salty but it has a distinct "bean" taste to it. The Eatventurers also followed it up with Pizza Cubana in Quatro Quezo and Hamon Serano—two flavors in one pizza. 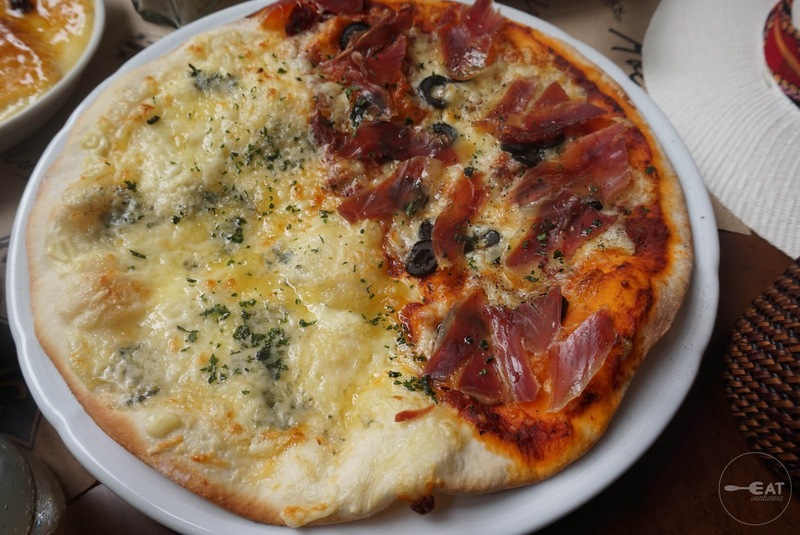 The four cheese and ham flavors go well with the thin crust. 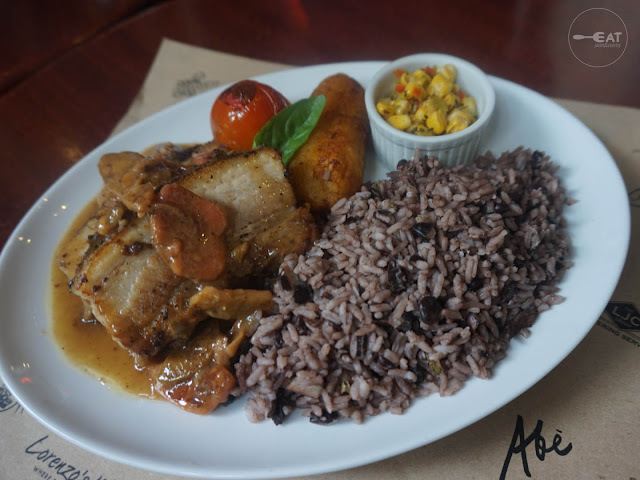 One of the restaurant’s specialties is the Spareribs Habanera (P605). The baked spareribs was nice but we’re not a big fan of the guava sauce. Like Filipinos, Cubans also love to pair their meals with rice. 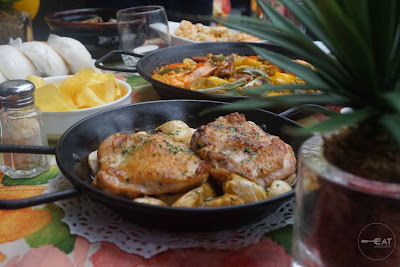 The Eatventurers got to try their dishes that are served with rice: Caribbean Style Salmon with Mango Salsa (P635), Caribbean Shrimp Curry (P450) and Chuletas de Pollo con Arroz Mejicano (P465). Our palate rejoiced as we ate the Caribbean Style Salmon with Mango Mambo Salsa. It is our favorite dish at Café Havana. 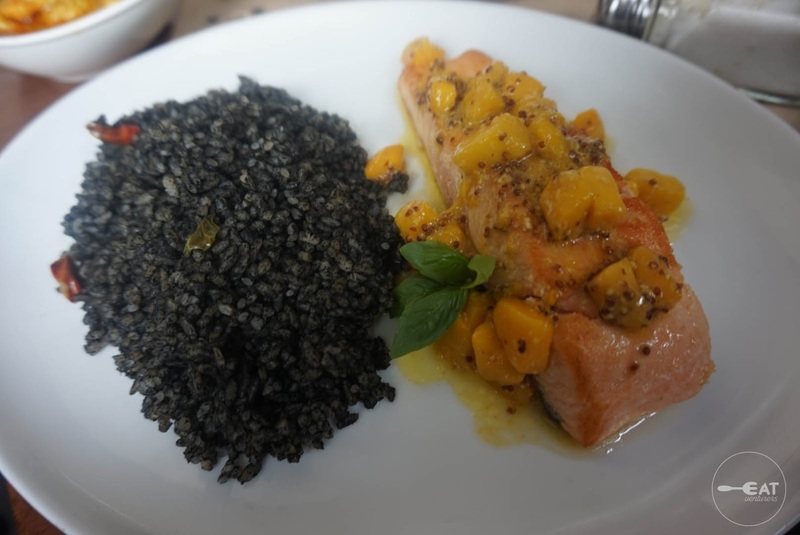 The salmon fillets go really well with ripe mangoes and muted squid ink rice. 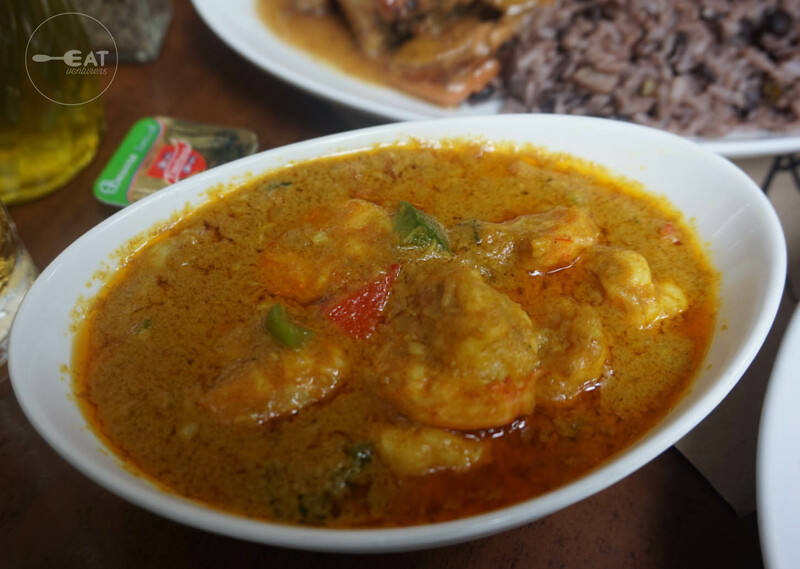 The Caribbean Shrimp Curry is so tasty to the point that the flavors are too overpowering. The fried banana somehow tones down the meal. 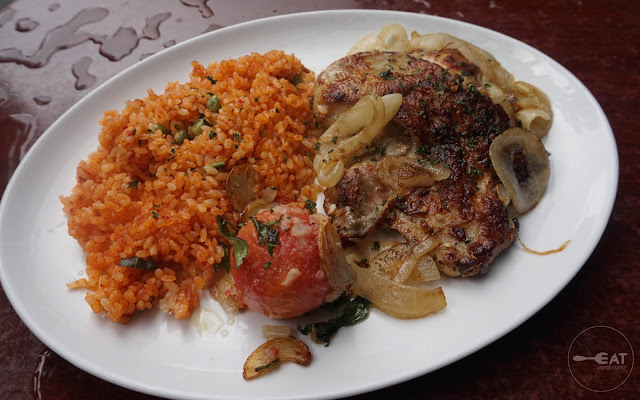 The Chuletas de Pollo con Arroz Mejicano doesn’t stand out. The chicken breast tasted bland and the Mexican style rice and garlic stewed tomatoes didn’t help either. 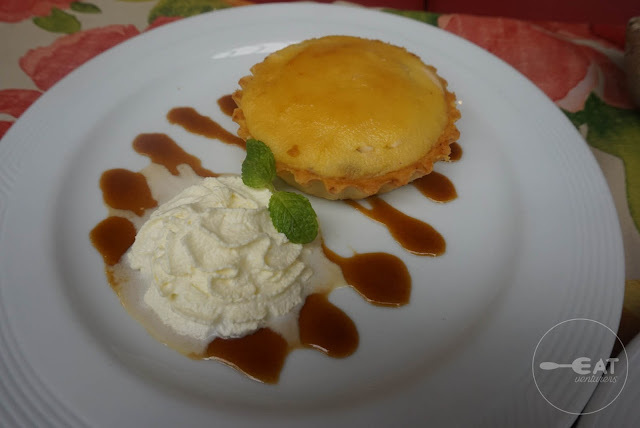 For desserts, The Eatventurers tried the Guyaba Pie (P165) and the Pudi de Pan (P160) or the Café Havana’s Cuban version of bread pudding. 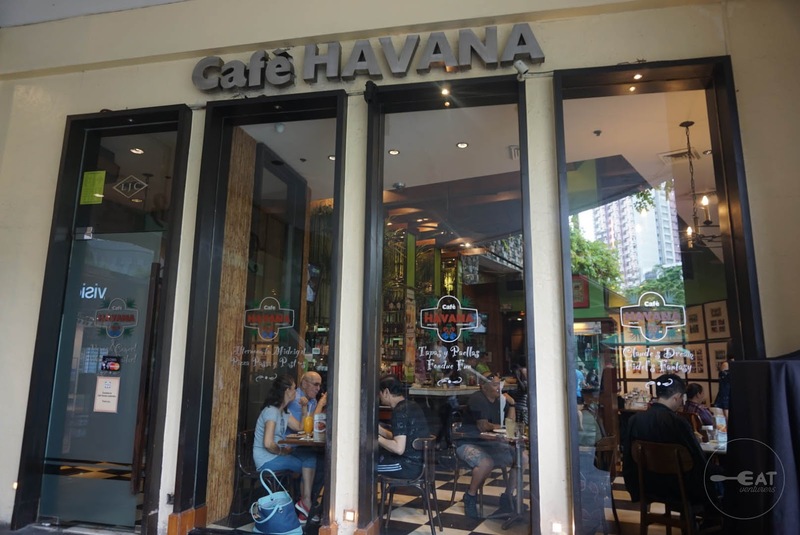 Eating at Cafe Havana made us realize that the exotic taste of guava is not our cup of tea. 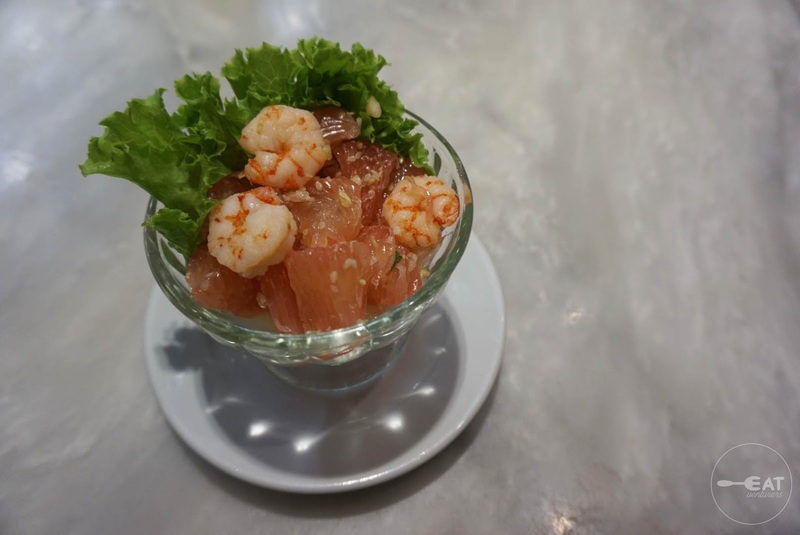 Although guava has nice combination of sweetness and tanginess, it has some grainy feel that our palates didn’t like. Thankfully, there’s a generous amount of whipped cream to balance the flavor of the guava pie. The meals at Café Havana are pricey but they are hearty servings. 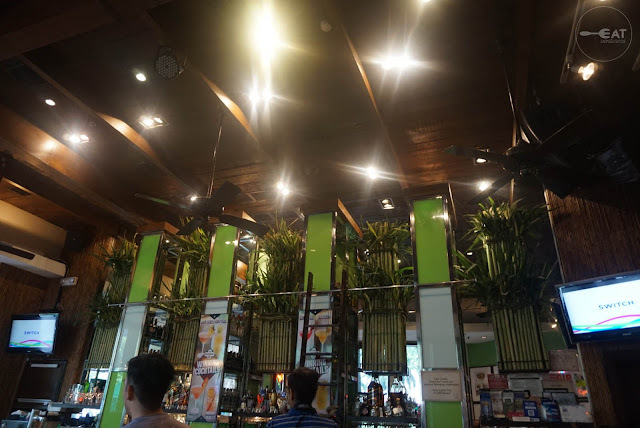 The ambiance is also chill and has tropical vibe—perfect for relaxations and conversations over good food and good company. 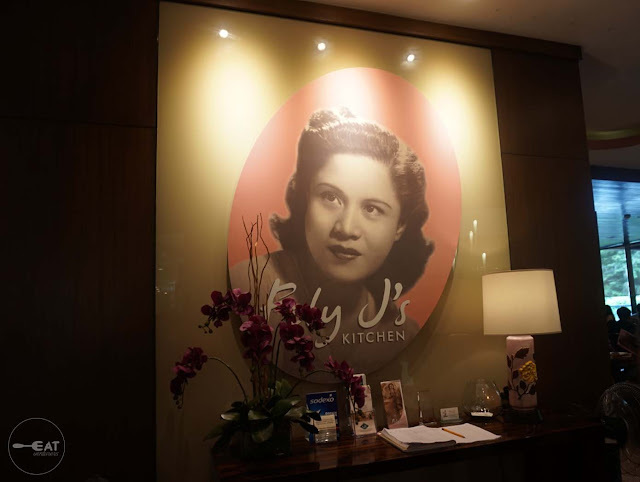 Fely J’s Kitchen is a tribute to the mother of the famous culinary genius Larry J. Cruz—Felicad de Jesus-Cruz—who spent the later years of her life hovering around the kitchen. 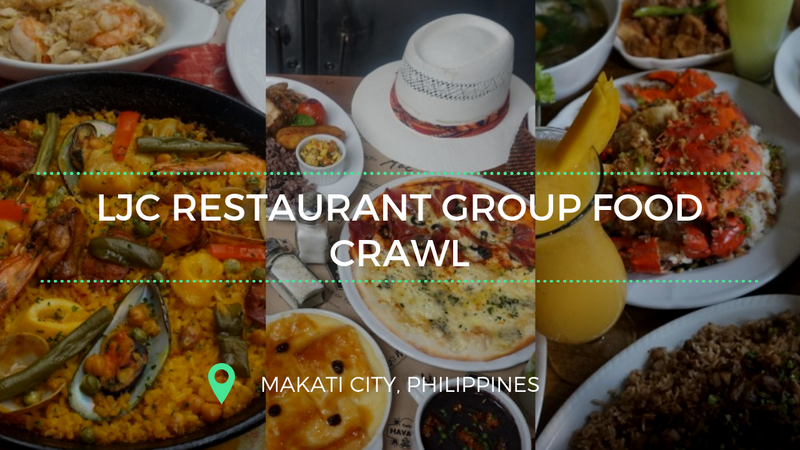 It features recipes, a variety of Filipino and Asian dishes, which she picked up from her travels. 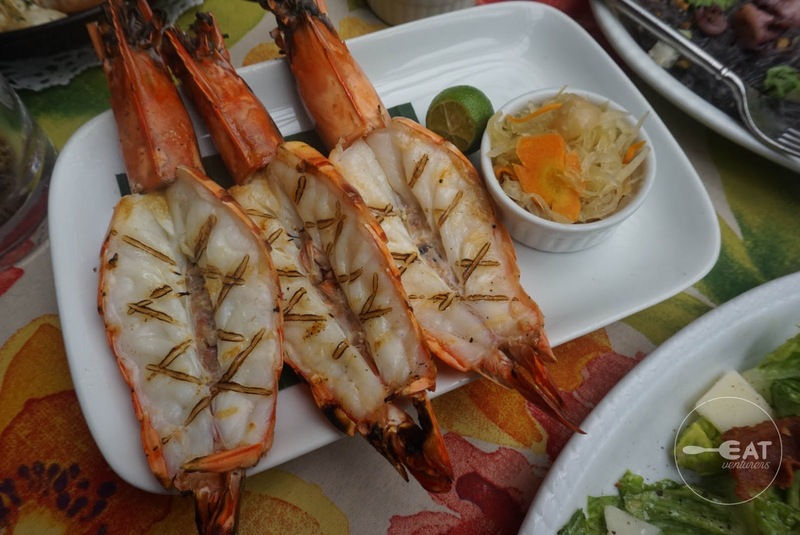 Our palates immediately rejoiced courtesy of the Thai Shrimps and Pomelo (P270). The combination of pomelo chunks, fresh shrimps, lettuce, peanuts and mint is really refreshing. 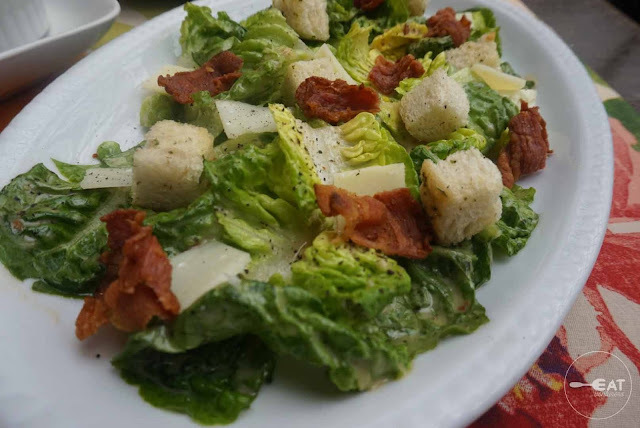 We love the balance of tanginess, sweetness and freshness of the salad. 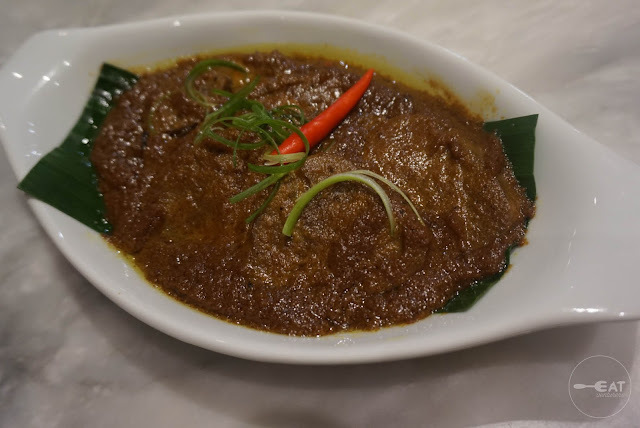 While it does not look appetizing, the Indonesian-style Lengua Rendang (P399) is really a must try. The ox tongue slices are very tender. The sauce is aromatic and tastes awesome—it has hints of coconut sauce and has the right amount of spice. Fely J’s Temple Crab (P190/100 gram) was the star of the table, not only because of its huge serving but also because of its taste. 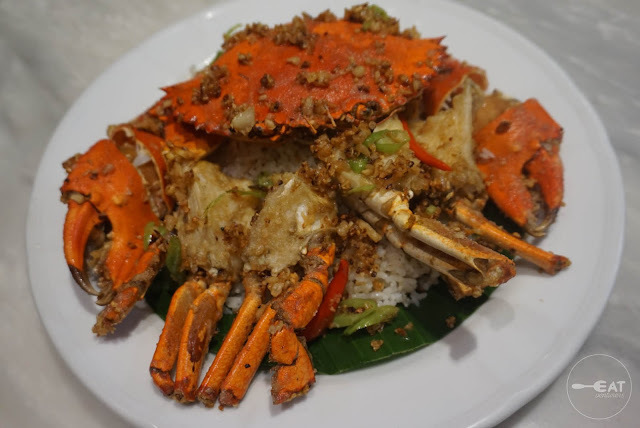 The garlic rice perfectly complements the giant crab. 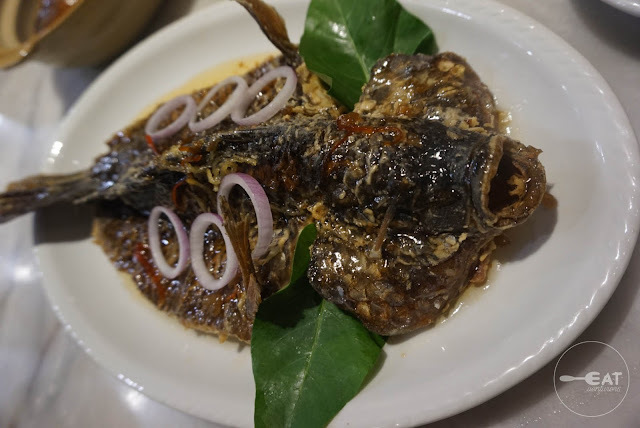 If you miss your mother’s sweet and sour fish dish, order a plate of Tilapia with Sweet Plum Sauce (P399). It’s a better version, trust us. The sweet plum sauce elevates the flavor of the fried tilapia. 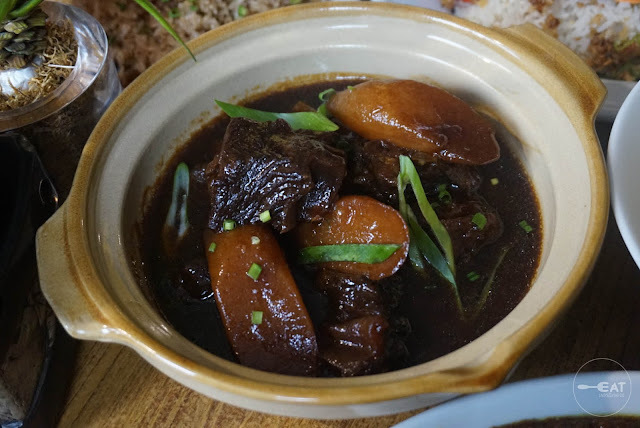 The tender meat and the thick and flavorful sauce make Braised Beef with Radish (P695) taste delicious. 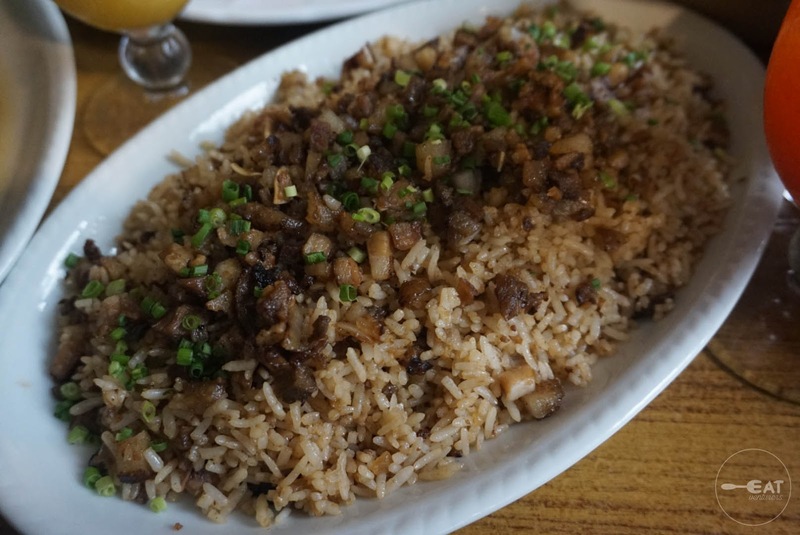 It is best paired with Sisig Fried Rice (P275) instead of plain rice. 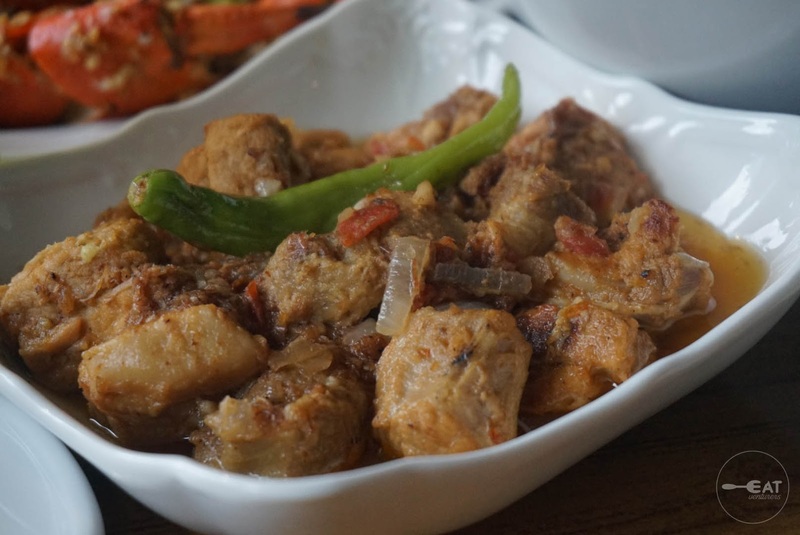 Binagoongang Baboy (P325), on the other hand, doesn’t taste very salty and doesn’t have the unfavorable odor of fermented shrimps. It’s quite oily though. For the desserts, we tried the Snowy Mango (195). 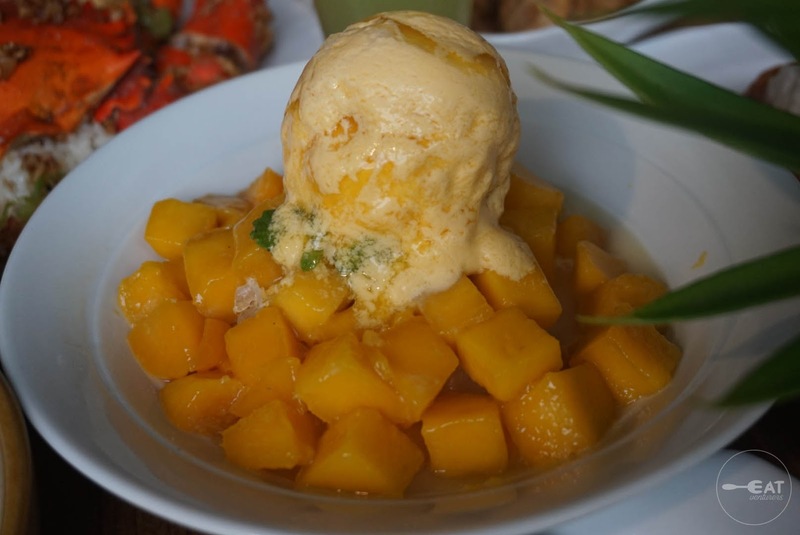 When I saw it first, we immediately thought of the popular Korean dessert ‘bingsu.’ But the shaved ice with mango ice cream and topped with sliced ripe mangoes didn’t even come close. 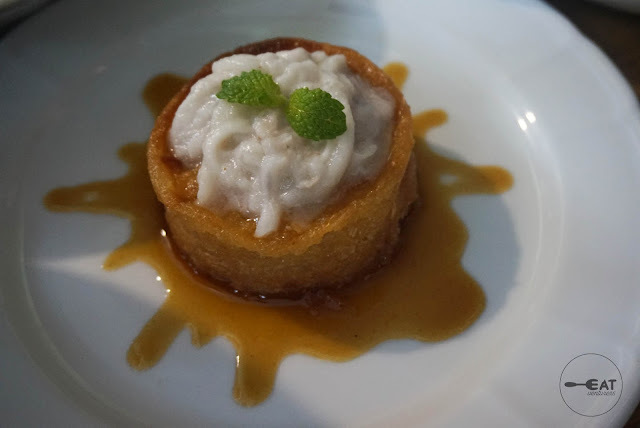 The Cassava Bibingka (P120) is the upscale version of our favorite native cakes. It’s good to note that it has the right amount of sweetness. 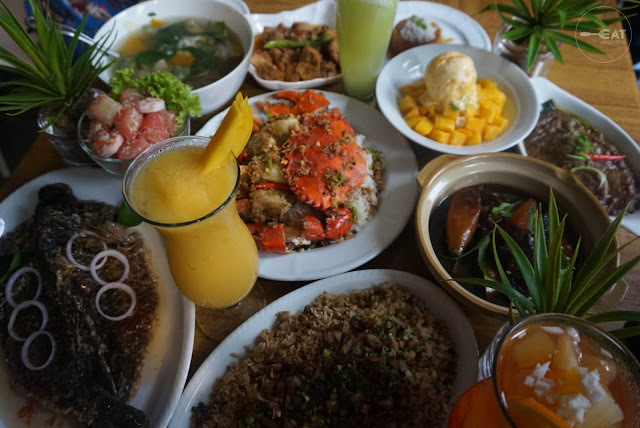 Eating at Fely J’s Kitchen felt like coming home after an exhausting day to a dining feast prepared by your beloved mother with so much dedication. The dishes are not over the top but they are simply delicious.